DH has coached the boys in baseball for years and this year he signed up to coach R4’s team. To his suprise he was asked to coach R3’s softball team as well. He said yes and had a blast!!! The girls and their parents were great, positive and supporting. 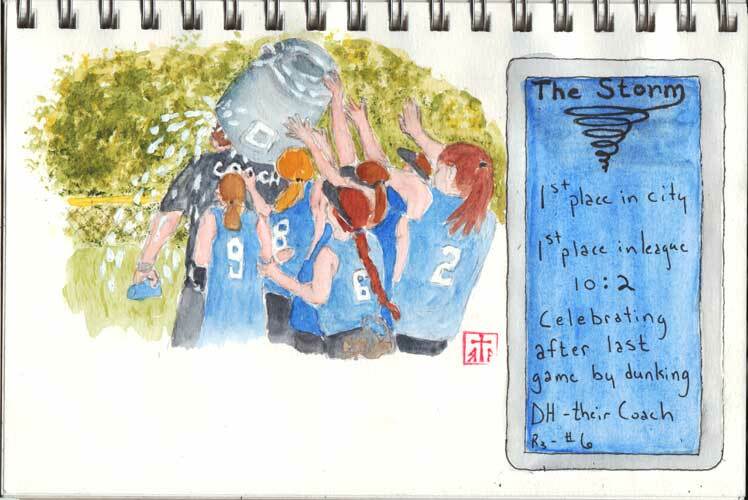 They made this a really fun year, of course, it didn’t hurt that the girls won first in our city division and first in the four-city league they played in. To celebrate the end of the season the team dunked DH with the water cooler. Ice water- brrrrr!!!! !